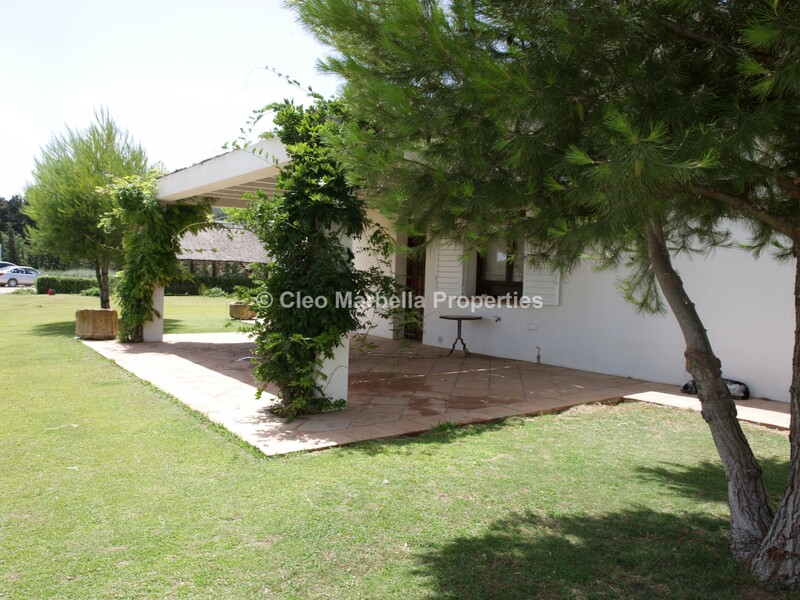 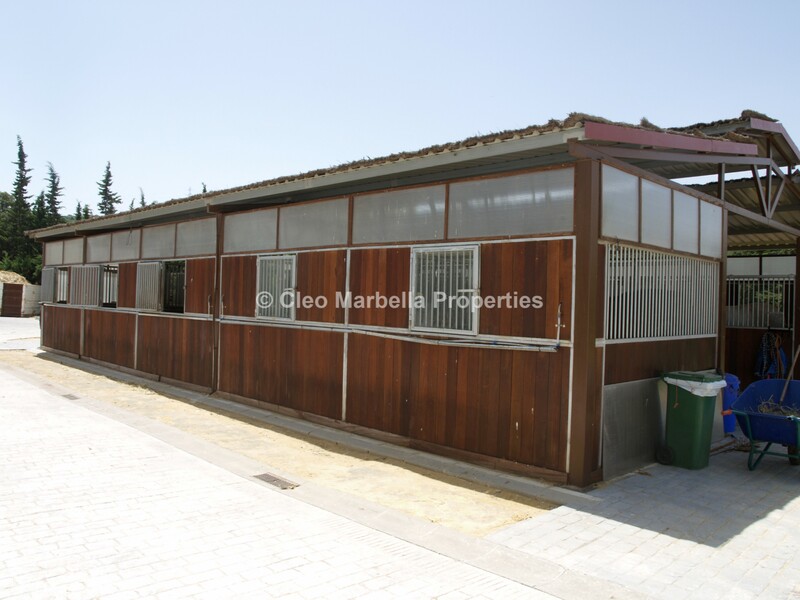 This property is set-up to host different types of Equestrian Events. 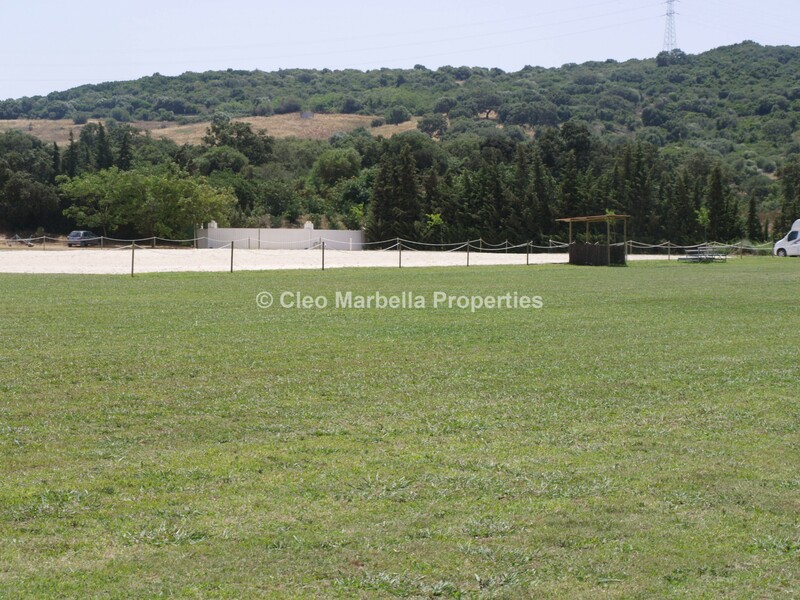 A full size dressage arena, show-jumping arena and a full size Polo field. 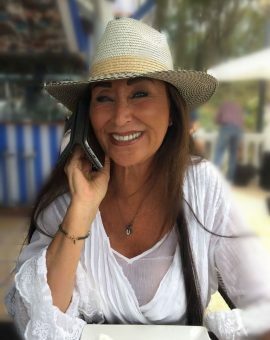 Would suit someone looking for a place to host events. 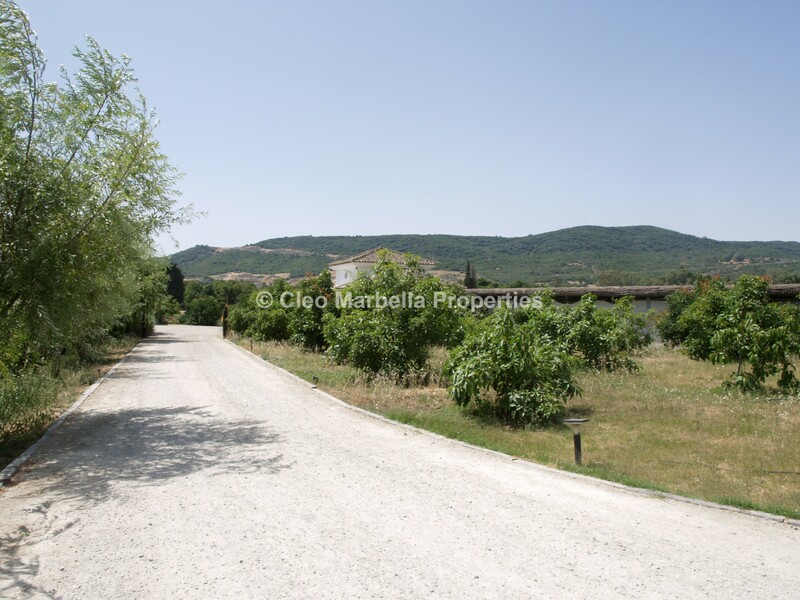 The equestrian farm development is located in Andalusia, in the borough of Castellar de la Frontera. 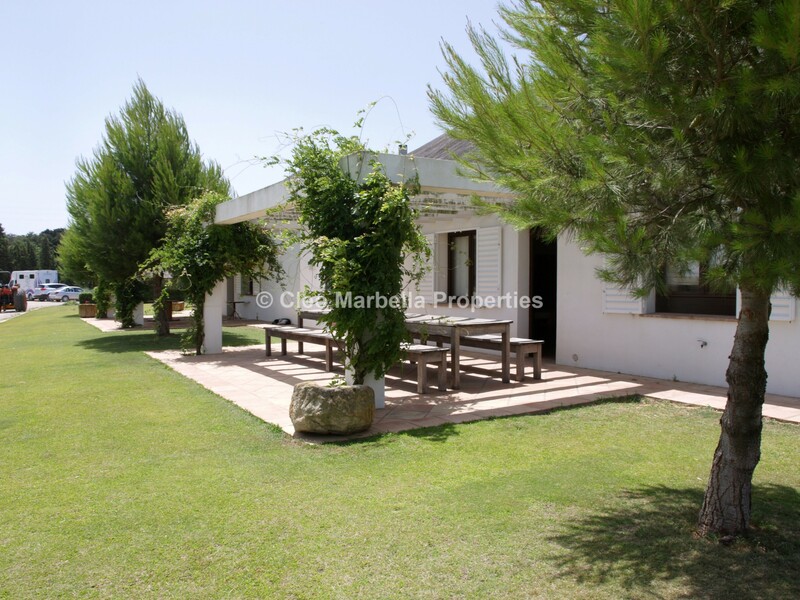 Only 14km from Sotogrande, 115km from Jerez, 125km from Malaga and 200km from Seville. 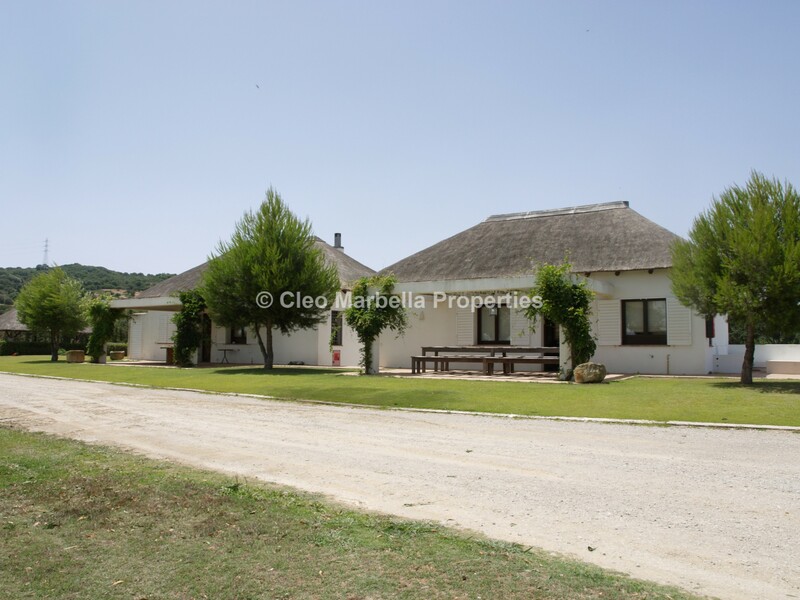 The estate is ideally located and well communicated, with easy connections by road, rail, sea and air. 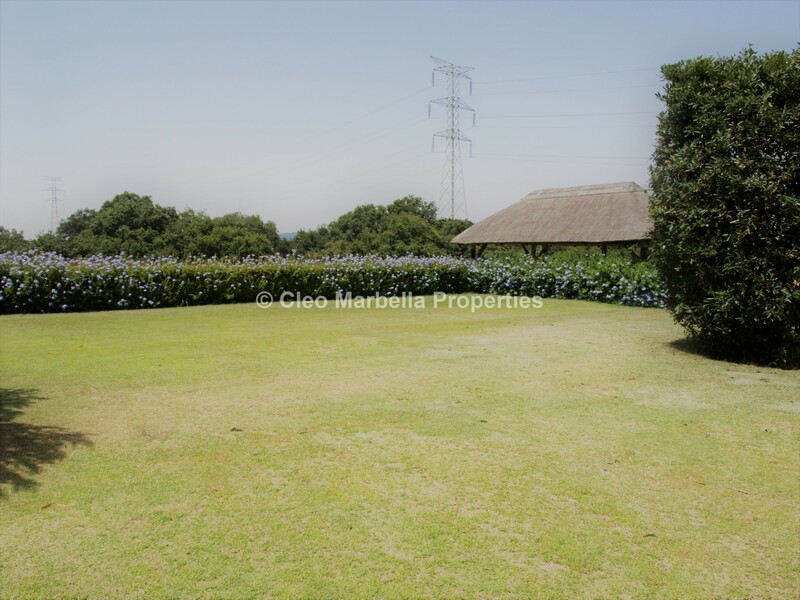 Its close proximity to Sotogrande is ideal for the exclusive residential area with multiple sports facilities. 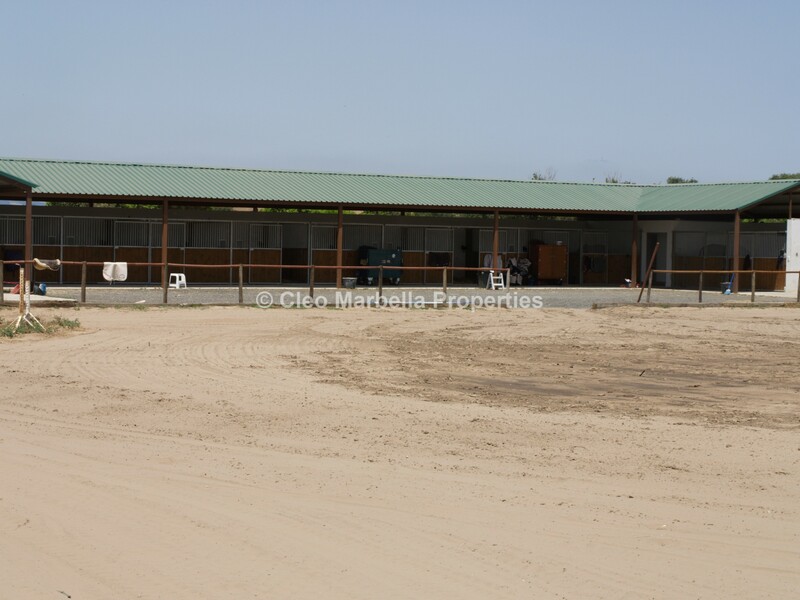 It is famous for its connections with the world of Polo. 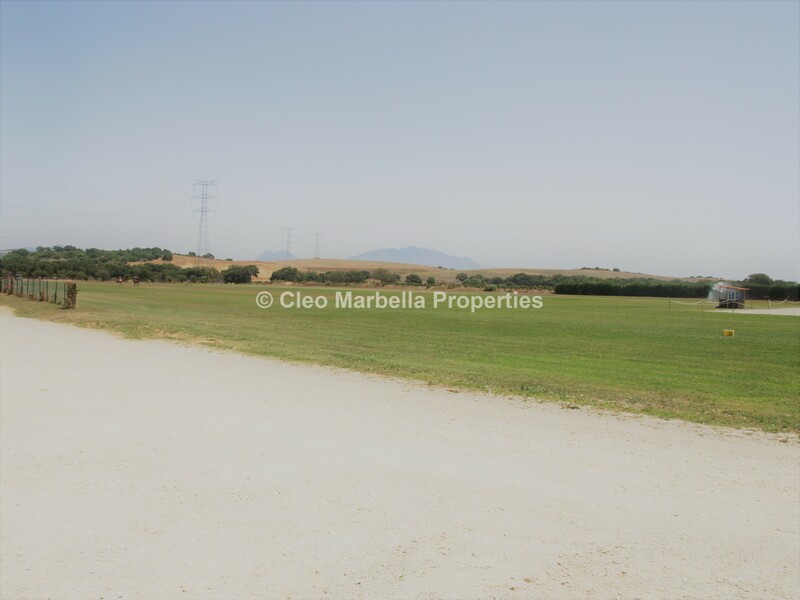 The Costa del Sol is currently witnessing a growth in dressage so making this the ideal place for a complex closely associated with the equestrian world. 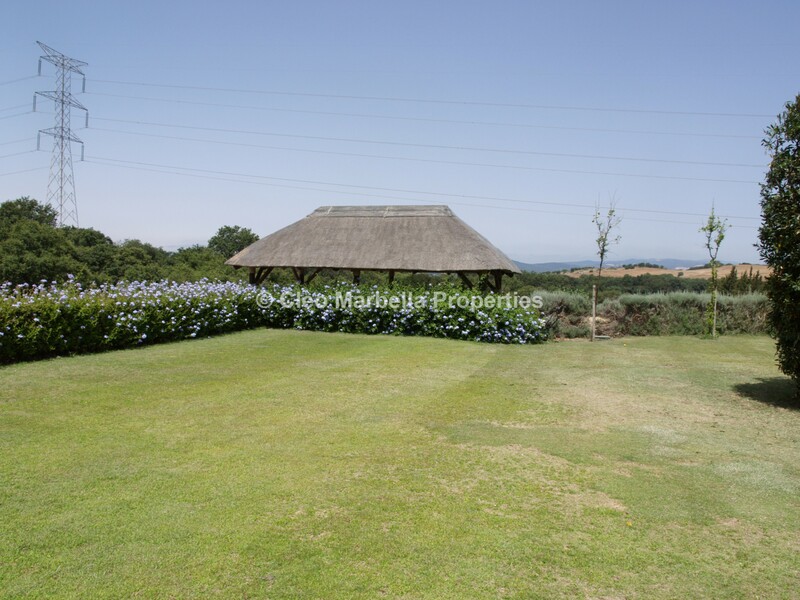 The Events Finca is located in 13 hectares of grasslands and hills for the stud farm’s horses to be bred in complete freedom. 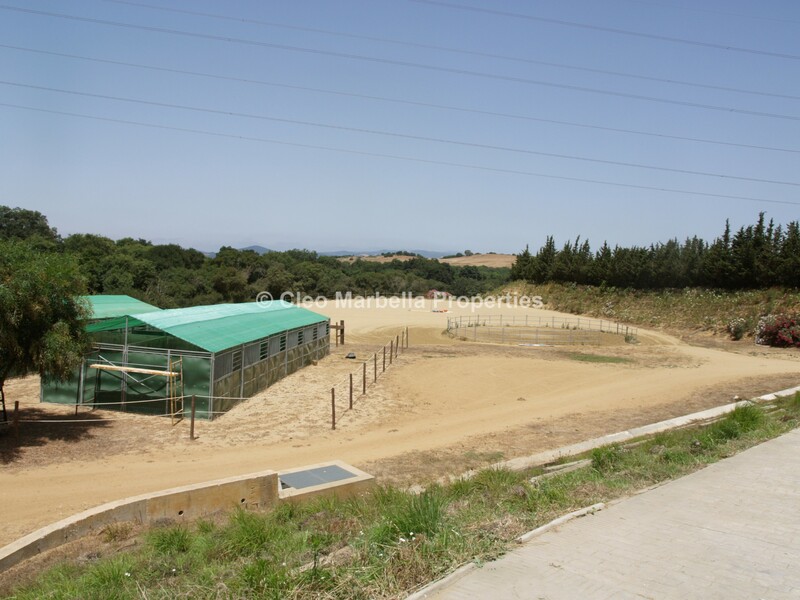 It has all the modern training facilities and infrastructure expected of such a perfectly-adapted dressage or polo horse farm. 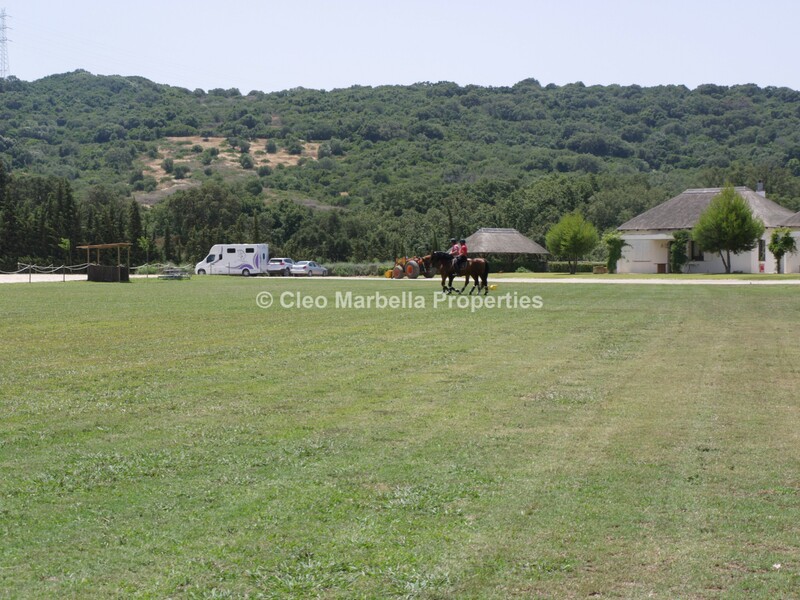 The estate has stables for housing the horses, a training arena, a lunge arena and a great multipurpose training arena for team or polo training activities. 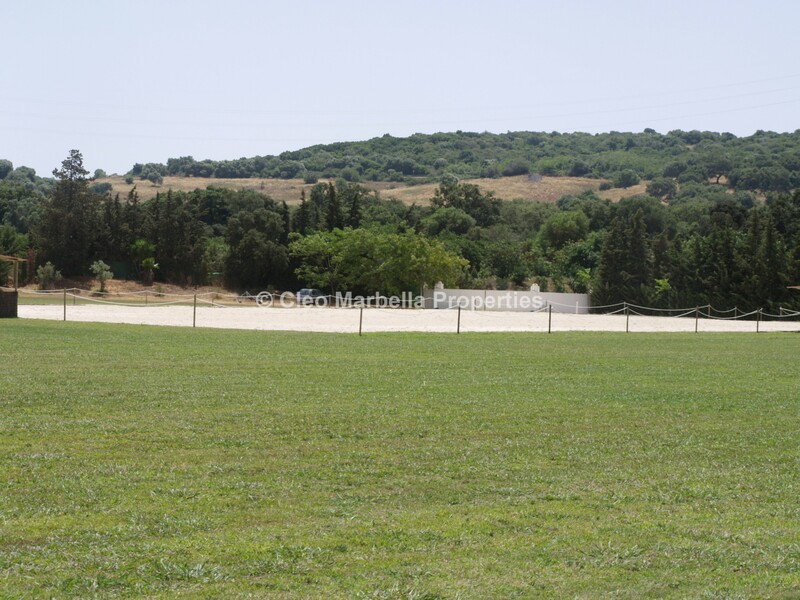 Various areas have been fitted out as fields with perimeter fences and roofs providing shade. 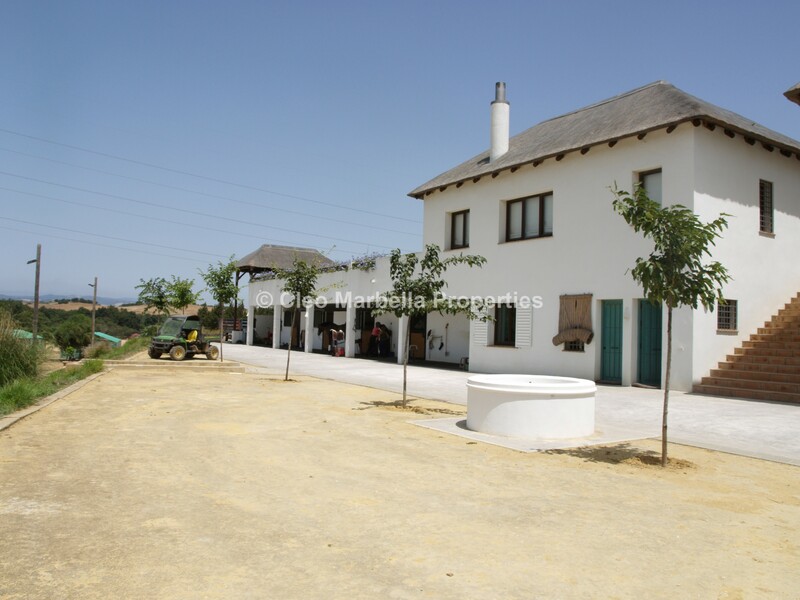 Self-sufficiency of electrical and water supply is provided by solar panels and a reservoir. 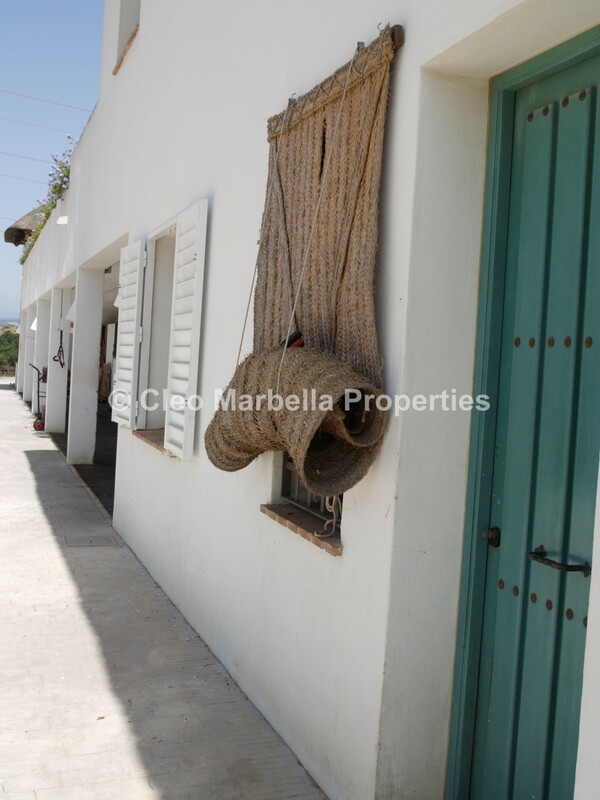 This means the estate does not need not rely on external climatic factors, and has a readily-guaranteed supply. 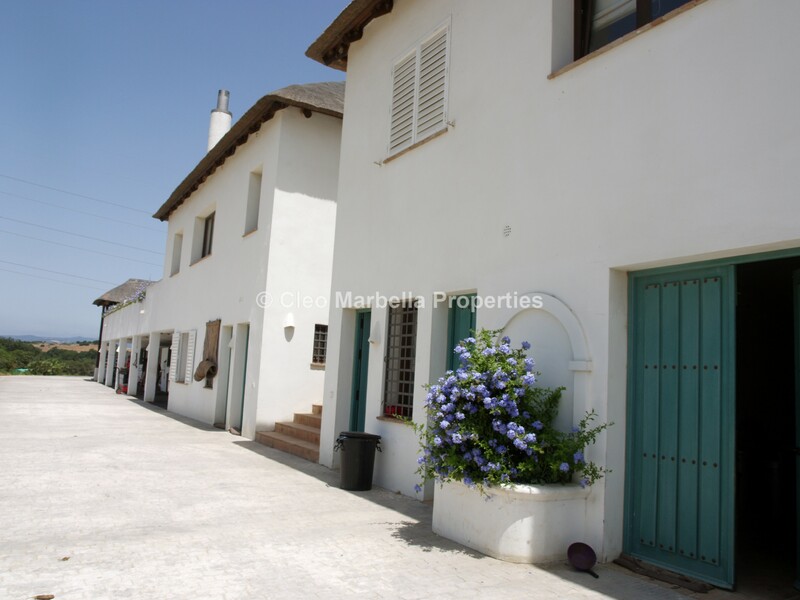 The split-level buildings, with a top residential floor and a ground floor stables, saddle-rooms, offices and a guard-house give the complex an air of necessary privacy. 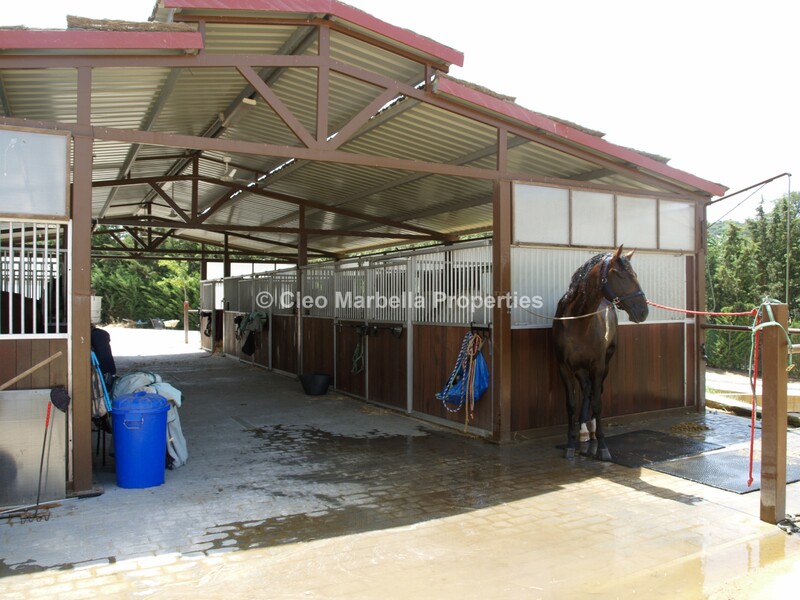 The stable area is fitted with two horse showers and non-slip floors. 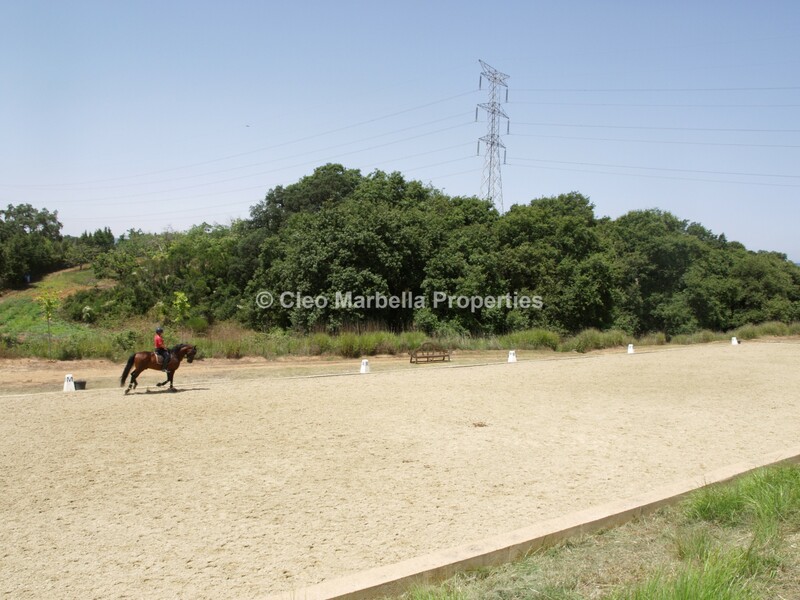 Lunge and dressage arenas are found on a third level and are used to exercise, train and ready the horses for competition. 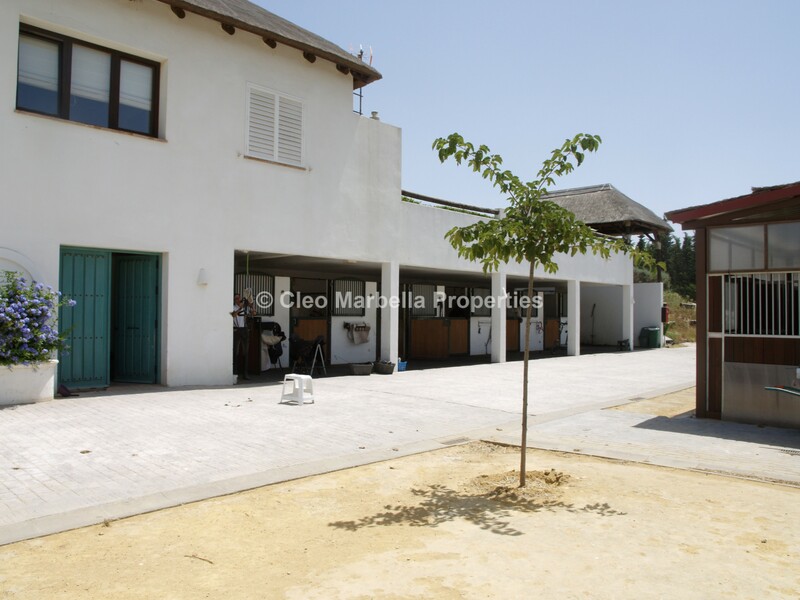 The multipurpose arena allows training to be performed next to the house. 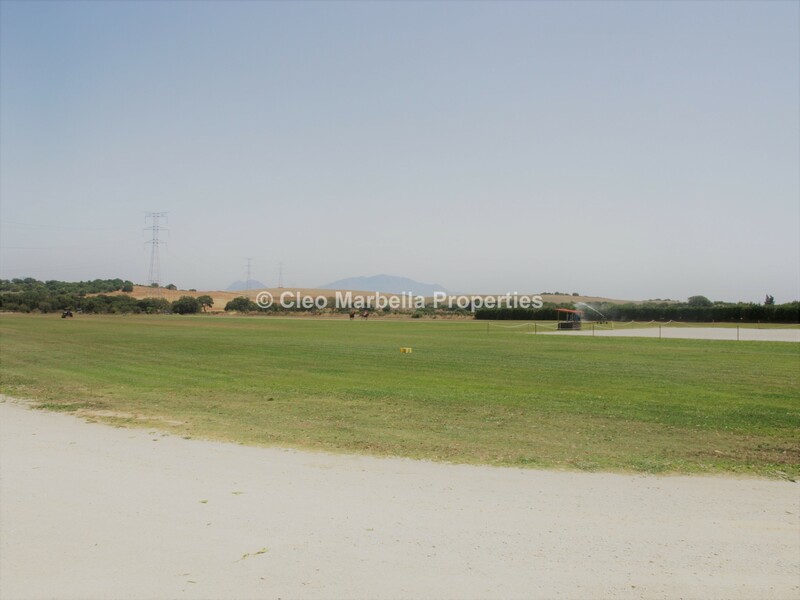 It is perfect for Polo teams, as it is a regulation-sized field for organizing matches. 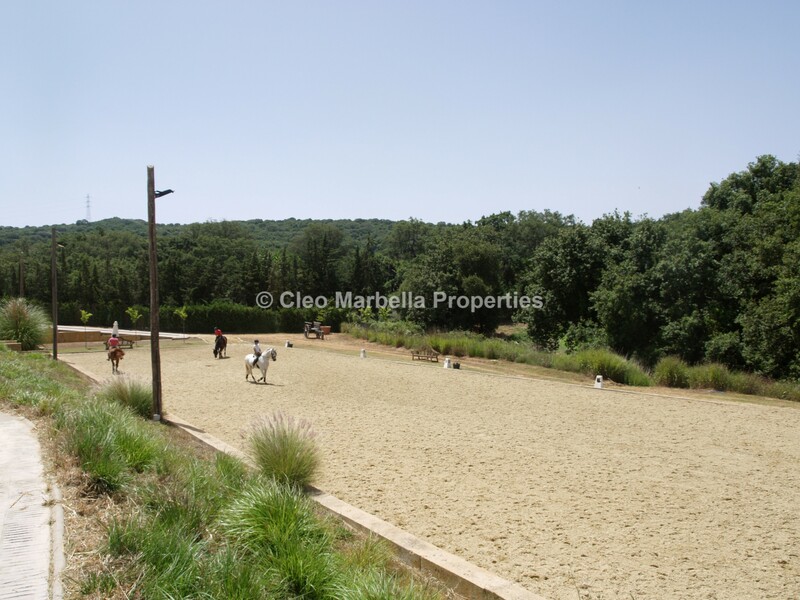 Another alternative use of this arena is for show jumping rehearsals. 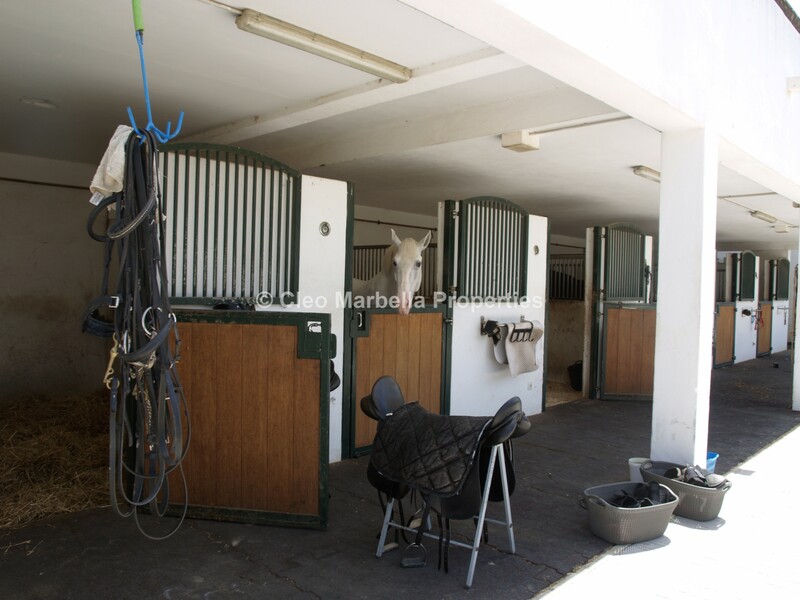 Throughout the complex, several fields have been furnished with perimeter fences and shaded areas for the horses. 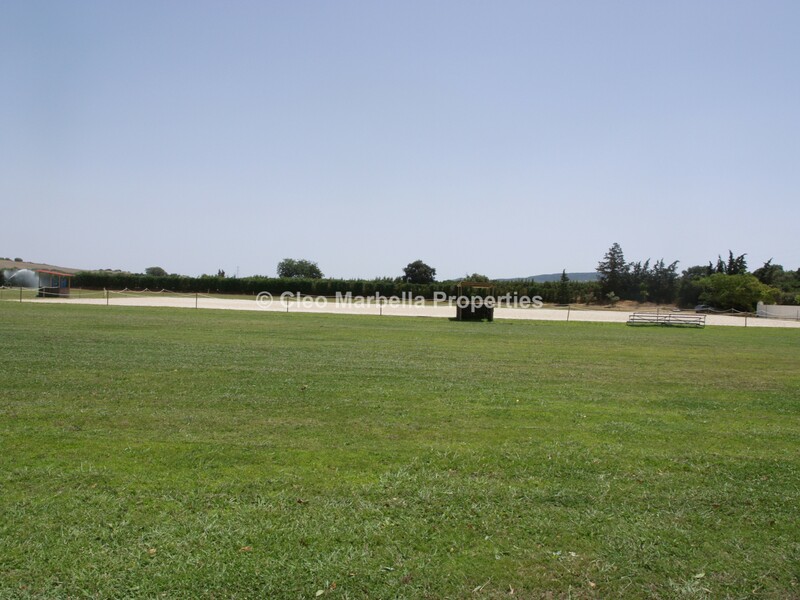 The fields have water troughs and water piped to them. 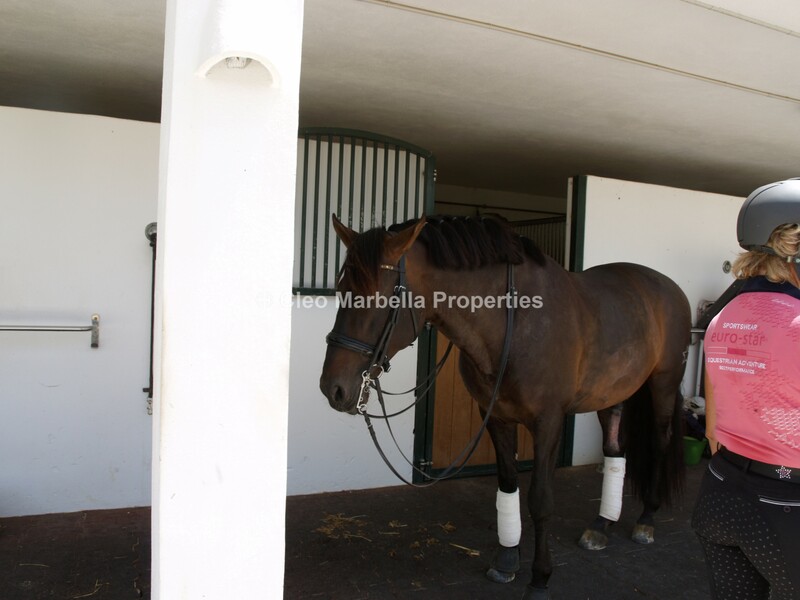 The proximity to the sea dampens the effect of severe thermal fluctuation, so temperatures remain consistently pleasant throughout the year, which is obviously ideal for breeding horses. 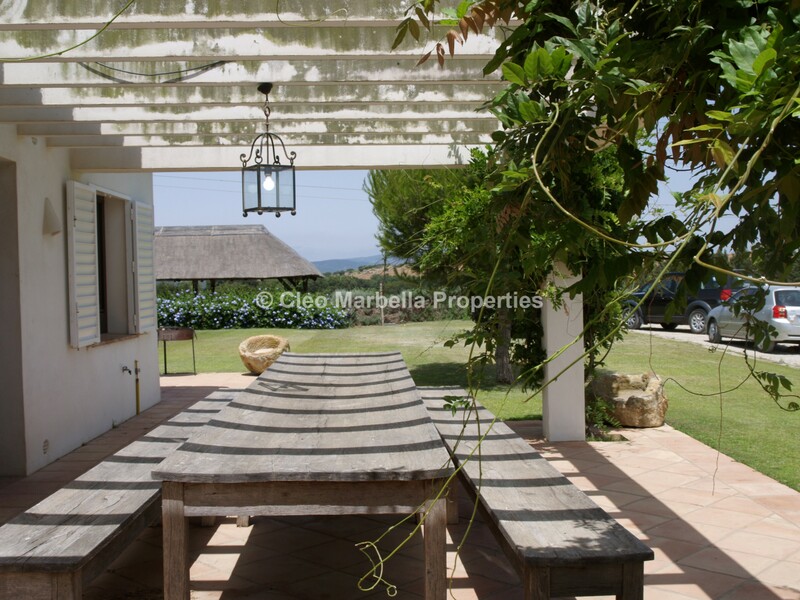 The remainder of the estate is given over to an orange plantation a deep-rooted tradition in the area – an olive grove and other species of trees. 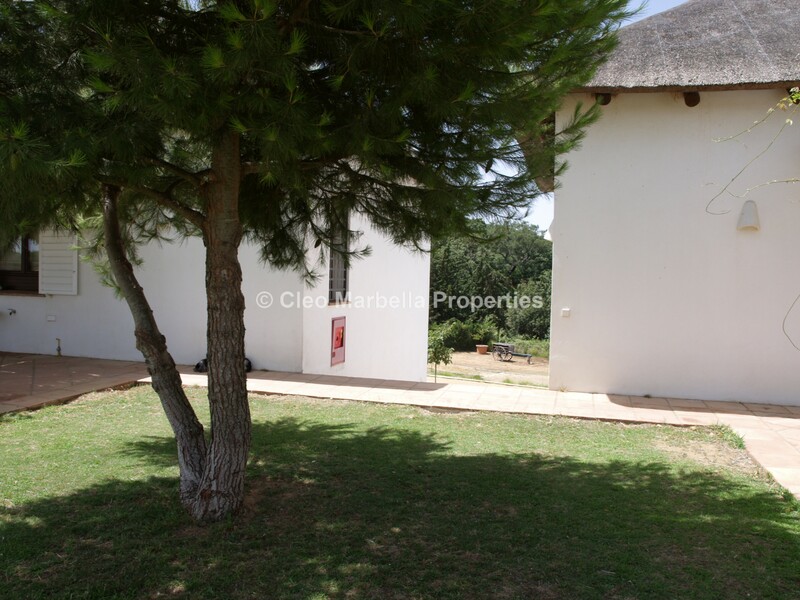 The estate is interspersed with tracks for road vehicles and bridle paths for horse riding. 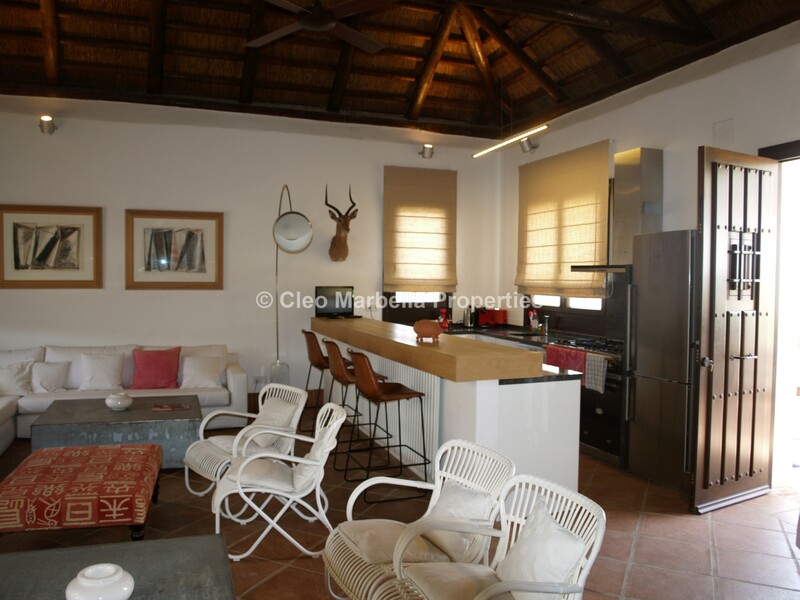 The estate complex was designed by the renowned architect, Valentín de Madariaga and is decorated by the interior designer Carmen Brujo. 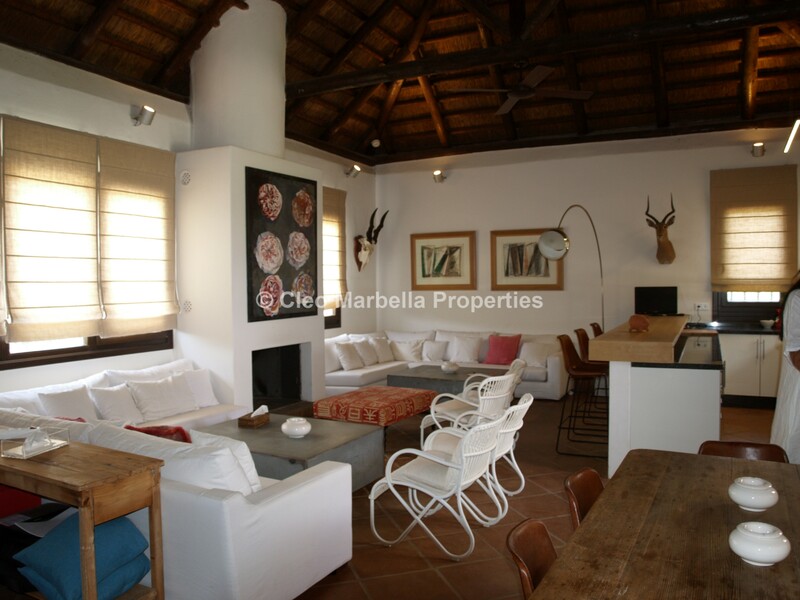 The design transmits feelings on the basis that simplicity is a virtue. 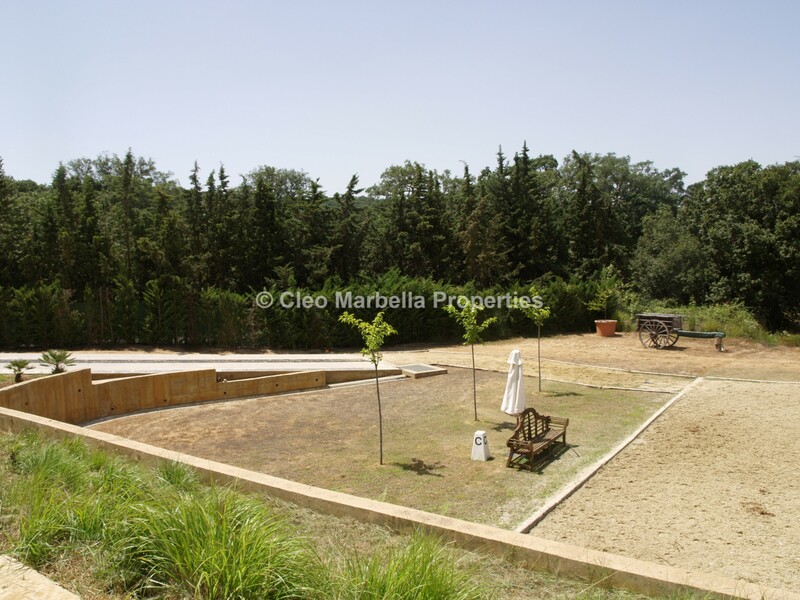 It is completely at one with its surroundings and has been designed according to the customer’s wishes, with all the complexities entailed by an equestrian project. 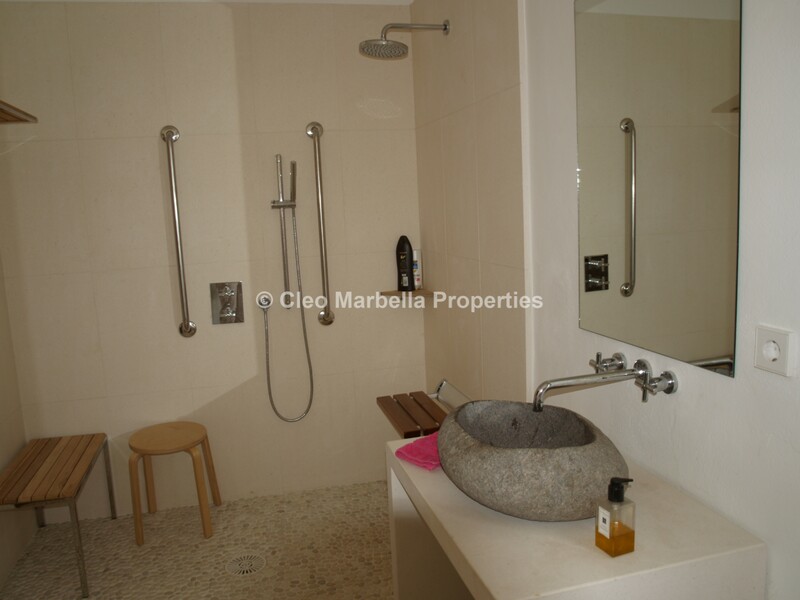 The result is a harmoniously built complex that exudes elegance and style.